In 2004 CzechInvest, the agency for supporting business and investment, recorded a year-on-year increase of over 100% in the number of projects. It mediated 145 new investments worth over CZK 50 billion in all, thanks to which over 20,000 new jobs will be created in the Czech Republic. Nearly one-third of the projects involved investments with higher added value, i.e., research, development, and strategic services, in which 41 firms invested last year as compared with 15 in 2003. “We were able to direct a significant part of the new investments to regions suffering from the highest unemployment rates, i.e., the Moravian-Silesian region and the Ústí region,” explains Karolína Bočková, CzechInvest’s deputy general director. Since the beginning of the year, the already low-quality Czech road network has been exposed to growing and excessive loads. Following the introduction of tolls in Austria and the Czech Republic’s EU accession, truck traffic on Czech roads is up by 50%. 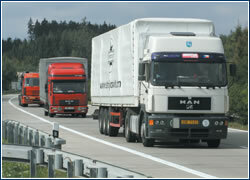 According to the transport ministry, tolls in neighboring Germany have added another 20% to traffic since January 1. Starting in the second half of next year, the ministry intends to introduce tolls for vehicles weighing over 3.5 tons on our highways and freeways. This coming fall, the tender for supplying an electronic toll system that will use either microwave or satellite technology will be decided. Although building the system will take CZK 12-13 billion, the state expects that as of 2007, CZK 5-7 billion will be collected annually in tolls. 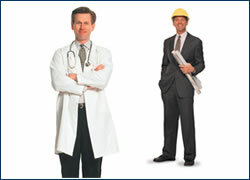 PUBLIC OPINION: What’s in a job? According to the Center for Public Opinion Research at the Sociological Institute of the Academy of Sciences, by far the most prestigious vocation in the Czech Republic is in the medical field. A full 41% of respondents ranked physicians at the very top of the table. Scientists, teachers, judges, and designers also ranked highly. Positions in the middle of the table include private farmers, professional athletes, ministers, and accountants. Parliamentary deputies and cleaners occupy the bottom of the list, according to social prestige. Correction: In the “Time Off” section of our January issue, we incorrectly captioned photograph no. 7 under “No wine tastes the same”. On the left side stands Pasquale Baiguera, general manager of hotel Radisson SAS Alcron, whereas Armin Zerunyan, general manager of the hotel Hilton stands on the right. We apologize for this error.